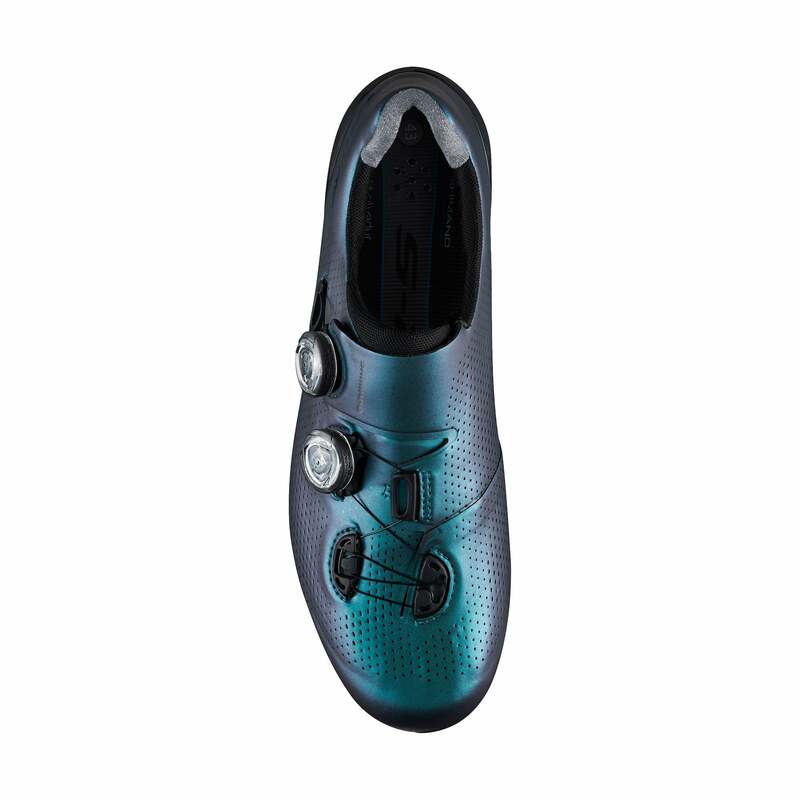 Shimano is releasing a limited edition ‘Aurora’ version of its S-PHYRE shoes and sunglasses. The flashy new products have a special shimmering color inspired by the Aurora Borealis that appears to change from blue to purple to turquoise depending on lighting. Whether you’re steaming your friends up a climb or hamming it up on a coffee ride, this gear will add a little bling to your ride. 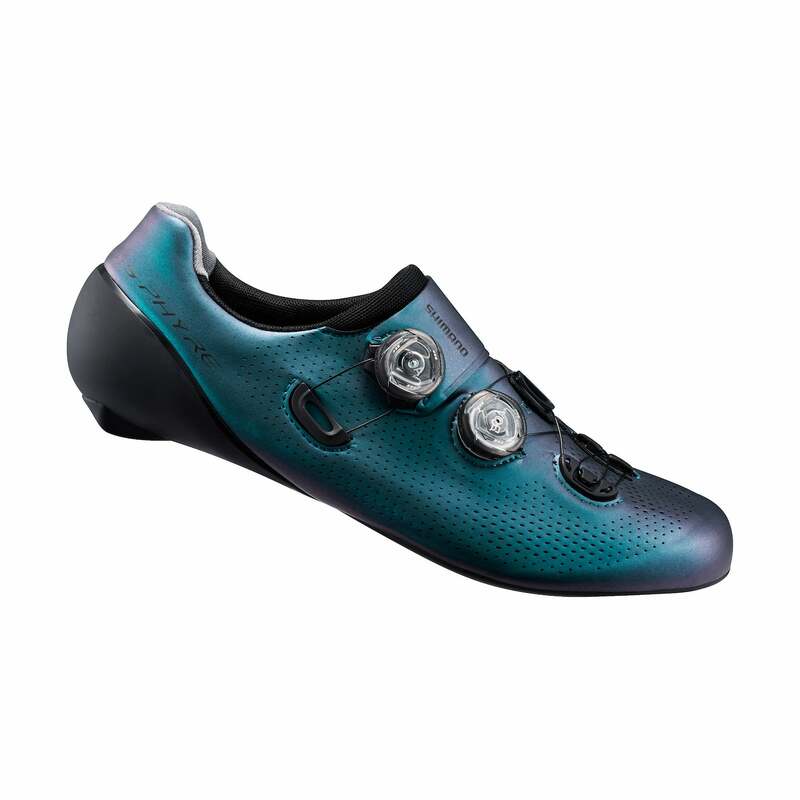 With a one-piece synthetic leather outer, the S-PHYRE Aurora edition shoes offer the same benefits and technologies as the top of the line S-PHYRE RC9. The RC9 already features lightweight performance—243g for a size 42—and a solid fit. The Aurora colorway just gives you another reason to go for these shoes. And while they probably won’t make you any faster, don’t discount the placebo effect of knowing your gear looks better than your friends’. 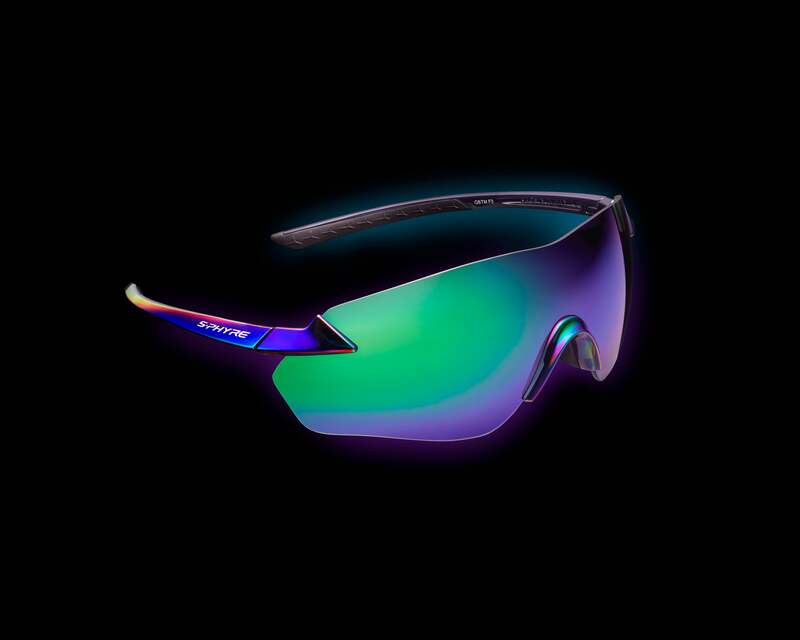 Like the shoes, the Aurora glasses are a limited edition version of an existing product: the S-PHYRE R sunglasses. They include the same extremely lightweight frame and single-piece polarized polycarbonate lens and feature the same shimmering color as the shoes. Shimano means it when it says limited edition. Only a few hundred pairs of each product will be available—and only at North American Shimano premium S-PHYRE dealers. Just like the real Northern Lights, these products probably won’t be around come spring—if you’ve gotta have ‘em then get ‘em quick.